Thankfully, potable water inspectors have not detected lead in any Illinois water treatment centers filtering water from a variety of sources. 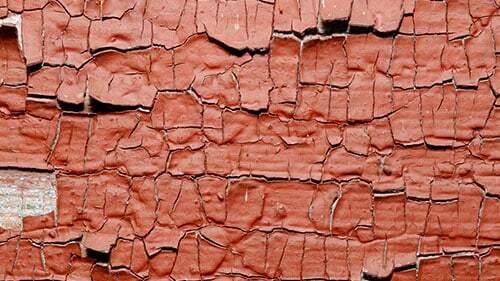 Unfortunately, many of the lead exposure problems throughout the state and especially in the Chicago metropolitan area have involved older homes painted with interior and exterior lead-based paint. Many of the issues associated with lead exposure occur when the old paint begins to flake or crumble, releasing lead dust into the air that is inadvertently inhaled. According to the CDC (Centers for Disease Control and Prevention), just five micrograms or less can cause significant irreversible problems with a child's intellectual quotient (IQ), mood and behavior, and their ability to stay focused. Rosenfeld Injury Lawyers LLC represents children suffering severe side effects caused by lead exposure and other types of professional negligence. Our law firm has successfully prosecuted cases for our clients suffering from many of the horrific side effects of long-term exposure to lead-based products and contaminated water. Our attorneys are available to answer any legal question on how to receive the monetary compensation your family deserves if your family's pediatrician diagnosed your child with elevated blood lead levels. Should you have additional questions, we invite you to contact our office for a free review of your legal rights. Sadly, many ill children and adults who have undergone extensive blood work received “positive” test results revealing that their exposure to lead resulting in significant health problems. Lead poisoning is known to cause severe injuries including behavioral issues, reduced blood cell function, developmental delays, learning difficulties, stunted growth, neurological damage, and death. Many of these injured individuals and surviving family members have exercised their legal rights by filing a lawsuit or compensation claim against those responsible for their harm. However, winning these cases can be difficult. While it may be evident that the property owner or landlord failed to notify the tenant or lessee of the known or unknown lead-based paint issue, it is difficult to prove in court that their failure to notify makes them legally liable to compensate the victims. In many incidences, plaintiffs who filed a lawsuit against responsible parties have resolved their cases through negotiated settlements. Others have needed to present their suit at trial in front of a judge and jury. Successful lawsuits were built on the arduous work of a law firm dedicated to fighting aggressively on behalf of their clients. These attorneys reviewed medical records, obtained lead test results and proved the client's damages to the insurance claims adjuster, defendants' lawyers, or the jury. It can take a long time to finalize a lead poisoning case to ensure that the family receives financial recompense. Factors that impact the length of resolving the suit include the process of discovery, a willingness of the property owner to settle out of court and the period required for the court to hear the case. Since the process of litigation can take years, we will help connect you with the resources you need to seek out quality care for your child in the meantime. The lead poisoning attorneys at Rosenfeld Injury Lawyers have access to necessary resources and the comprehensive network of medical experts and specialists that are highly trained to treat your child's injuries. What Compensation Should I Expect to Receive? Hospital Expenses and Medical Costs – Lead poisoning can cause serious medical issues including neurological injury and damage to the kidneys, lungs, heart, spleen, and intestines. Lost Wages – If the victim was a working adult before the exposure, the damaging effects of lead poisoning could cause painful symptoms that make it impossible to return to work. If the victim is a child, at least one parent will likely need to stay home to provide care in the house throughout the victim's childhood and into adulthood and probably lose their ability to generate income for the family. Pain, Suffering, and Emotional Distress – Lead poisoned victims often suffer severe pain and emotional trauma associated with the debilitating and disabling lifestyle. Punitive Damages – If your attorney can prove that the landlord or property owner willfully and intentionally neglected to inform the victims that they knew there was a lead problem on the premises, the judge may allow the jury to award punitive damages to punish the defendant. Family members who have lost a loved one through lead poisoning are entitled to receive financial compensation in a wrongful death lawsuit. This monetary recovery can include medical expenses generated before the victim died, along with funeral costs, burial expenses, emotional and mental distress and grieving experienced by the family, and a loss of contribution, companionship, and consortium. How Was My Child Poisoned? Families can be exposed to lead particles or dust if it is brought into the house on a lead-based object from some outside source of lead contamination. Family members might have played or worked in contaminated soil, worked with arts and crafts materials, held or wore leaded jewelry, and played with toys. Federal law now prohibits selling any lead-based products. However, many imported materials and goods are still fabricated with significant amounts of lead. It may be possible to file a lawsuit against a product manufacturer if it is determined that your child's injuries were related to the company's product. If your child was injured after ingesting old peeling paint or dust found in a home or apartment, a lawsuit could be pursued by the injured victim against the landlord or management company for their negligent maintenance of the premises. Many municipalities have been enacted laws to strengthen a compensation claim or lawsuit based on a code violation. How Can I Be Sure My Child Was Poisoned? If you suspect that your child might be suffering from lead poisoning after their exposure to lead, take them to the pediatrician right away. The physician can verify lead poisoning through a simple blood test (fingerstick or intravenous) and provide guidance on what to do next. The doctor might recommend removing the child from potentially unsafe environments including in the house, school, playground, or another facility that could have lead-based paint problems or contaminated soil. How Do We Pursue a Case? Before you initiate a lead paint compensation lawsuit, it is imperative to take your child to receive appropriate medical care from a qualified professional. The doctor can perform blood tests and a comprehensive physical examination to identify symptoms of a potential lead poisoning event. Next, contact a personal injury attorney who specializes in lead poisoning cases. The law firm will schedule a free initial consultation and discuss your legal options. This information you can help you determine whether it is wise to pursue a case against every person responsible for your child's injuries. A competent attorney can assess your claim to identify all potential defendants that might be financially accountable for your damages. Choose a law firm that has already recovered millions on behalf of their clients involved in cases just like yours. If you know that your child is exposed to lead or they are displaying some of the common symptoms associated with lead poisoning, they will likely suffer severe mental and physical problems for the remainder of their life. Unfortunately, proving that others are responsible for their negligence in causing your child's harm can be challenging. Often, the child never displays known side effects, physical issues or mental health problems until years or decades after the initial exposure. In the early 1970s, the U.S. Congress and many state legislatures began enacting laws to tackle lead-based problems that were causing severe injuries to children and adults. Congress passed the first bills to restrict the sale of lead-based products and leaded gas that were known to cause serious health issues. Research back then revealed that many of these injured victims of lead poisoning had developed physical growth problems, diminished intelligence, learning disabilities, and other significant medical issues. If your child suffers injuries after exposure to toxic levels of lead, their injuries may be permanent. The lead poison injury attorneys at Rosenfeld Injury Lawyers LLC have resolved dozens of cases involving child and adult clients who have suffered severe harm through the exposure of elevated toxic levels. Our legal team has decades of experience in successfully prosecuting lead poisoning injury cases. We work aggressively on behalf of our clients to ensure their families receive the fair compensation they deserve. We understand that you need to be compensated for your damages right now to alleviate the financial burden caused by the lead poisoning of your family member. We take every action available to move your case quickly to the process and will schedule a settlement meeting as soon as we know we can negotiate adequate compensation for your family. We provide legal services until your case is resolved, meaning if the insurance company is unwilling to offer an acceptable settlement, we will build your case to take to trial and present the evidence in front of the judge and jury. Contact our attorneys today to schedule a free, no-obligation case consultation to discuss the merits of your monetary recovery claim. Our legal team accepts all personal injury case, wrongful death lawsuit, product liability suits and toxic exposure claims through contingency fee agreements. This arrangement postpones the payment of legal services until after we have successfully finalized your case through a jury trial or negotiated out of court settlement. Our law firm gets results quickly. We provide every client a “No Win/No-Fee” Guarantee, meaning if we are unable to secure financial compensation on your behalf you owe us nothing. All information you share with our law office remains confidential.